Way too early in the morning we got up to head to Anegada for the day. 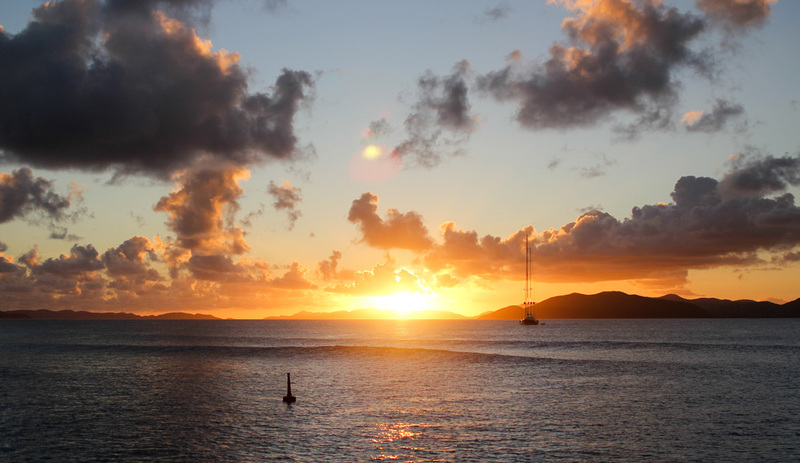 The northernmost island of the British Virgin Islands is about an hour and 20 minutes by ferry from Roadtown. This makes a day trip quite affordable and doable. 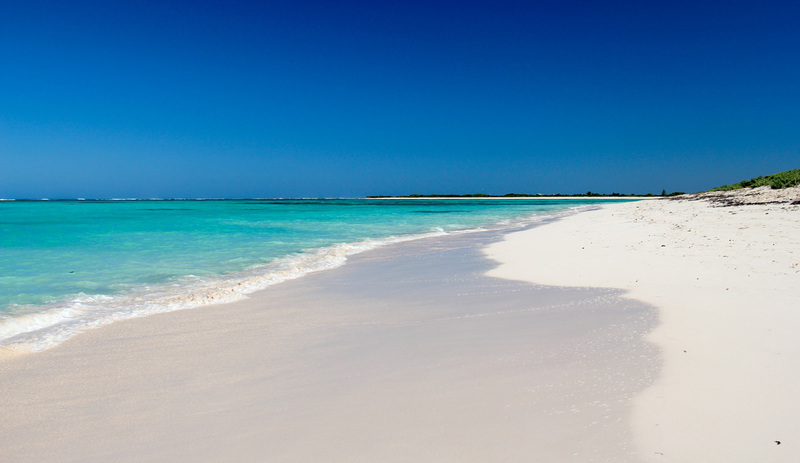 Anegada is an atoll and consists of coral and limestone and is flat. It is a contrast to the other islands, which owe their existence to volcanoes. Most definitely worth a visit as it is a completely different BVI experience. 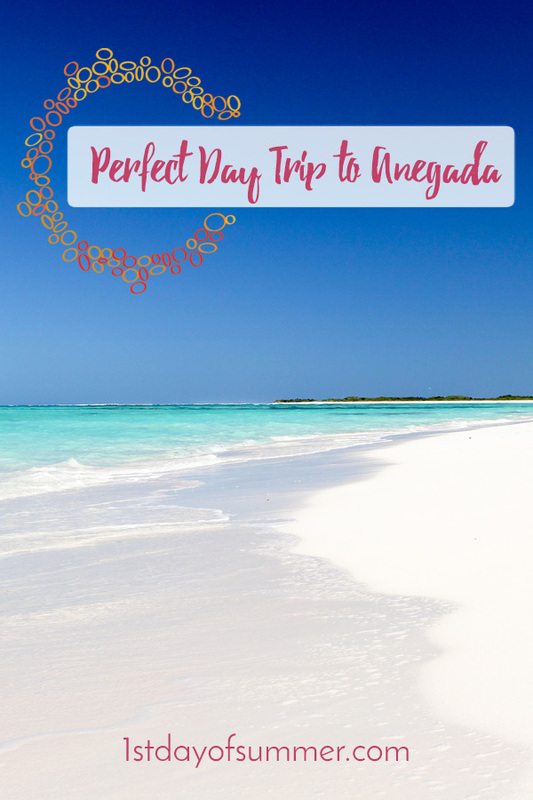 Let me tell you how you can have a perfect day in Anegada in 10 steps. Don’t just rent a car. 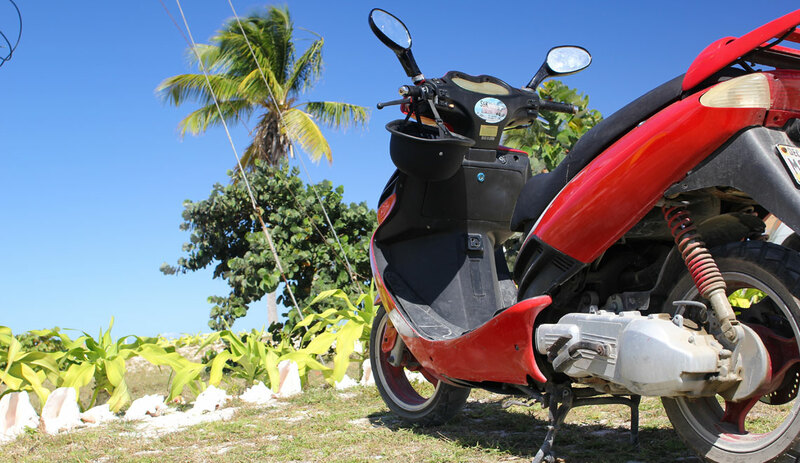 To really appreciate and get a feel for the island, rent a scooter. You can easily get around. You will be closer to nature, you breathe in the fresh air and enjoy a cooling breeze while driving. It is definitely the most fun way to get around. Call Stephanie of S&K Rentals the reserve your scooter, she will even come to pick you up at the dock if you like to. But, you might as well walk as it is pretty close. Neptune Treasure is the place to be for breakfast. It seems everybody is gathering here in the morning. Either buying their bread or like us taking a seat. This fun shack is on the water and we looked at the moored catamarans. Because supplies are very limited on such a remote island they bake their own bread, cakes, and pastries. So don’t skip this one. You need to start the day with a good meal! The prettiest beaches on the island are all on the north shore. After a fun drive on empty roads with an occasional pothole, we arrived at the new destination. A quiet secluded beach everybody dreams about:Loblolly Bay. Except for the bartender and a few waiters at the restaurant of Big Bamboo, it was deserted. We had the whole beach to ourselves. 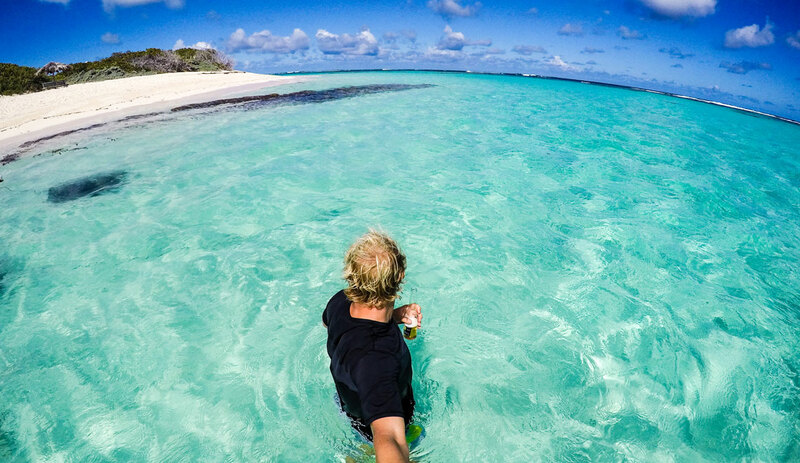 If you look up photos of Anegada, you will find the famous bench shot. Normally photos get enhanced to look better, but I need to tell you that this place is more amazing than the photos. It just is. Sip on your cocktail and just be in the moment; it’s the best feeling in the world. 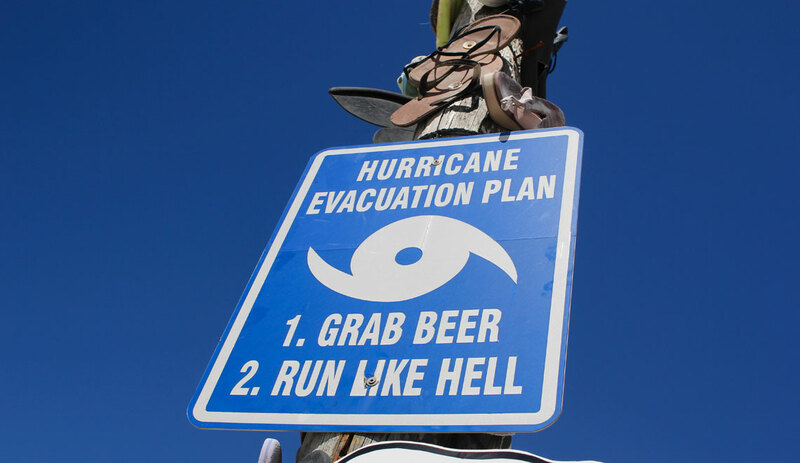 The settlement is the main town of Anegada. At first, you might think you are just approaching town as you see some houses here and there. People sitting on the front porch waving. When the houses suddenly stop you realize that this was it, you just past the town. It is that small. We cruised by the village a few times and all the locals are extremely nice. Even came across some friendly donkeys. Don’t expect that the village has a restaurant or a place to stop. It is just a bunch of houses, a police office, a fire department and a lost store. We tried to get as close to the south coast as possible. We eventually just got off the scooter and started walking because we saw this amazing sight. Beautiful shallow greenish blue water for miles. Mangroves growing as little islands. Picture perfect! We saved the best stop for last. We ended up parking the scooter at the West End of the island. This must be the most spectacular beach I have ever seen! 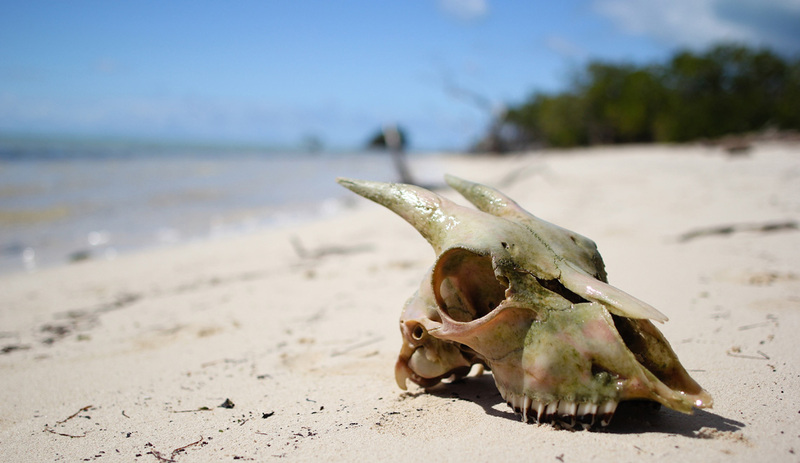 All the people on this island were liming on Cowwreck Bay. And I can understand why. It can’t get any better than this. I think I am in love with this place. This beach has it all: long stretched out white powdery beaches, palm trees, the perfect shades of blue in the ocean and a fun beach bar. You can stroll along the beach or just hang around the bar and have yourself another cocktail. People gather around the bar on the beach, which is called like the beach: Cowwreck Beach. They serve you perfectly prepared food. 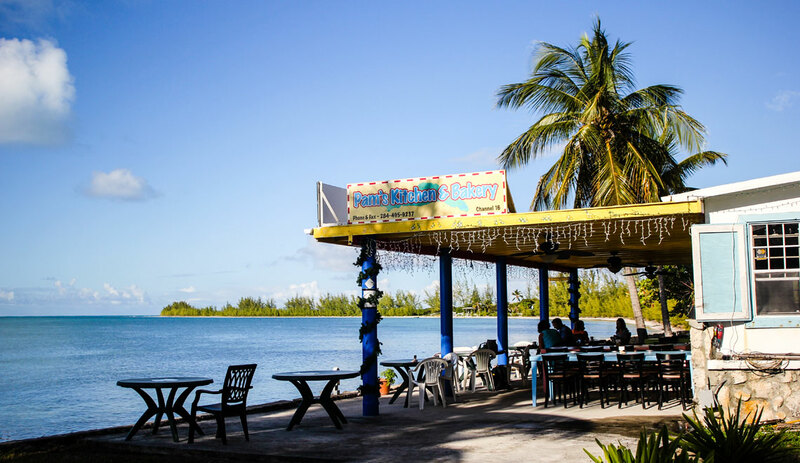 And while you are on Anegada, you need to try the famous Anegada lobster. Yum! 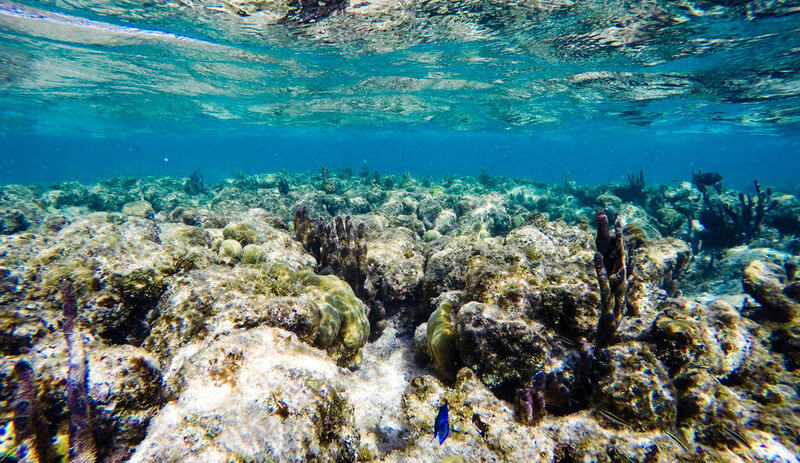 I bet these pristine waters and the laid-back vibe of Anegada is the reason why the lobsters here taste so marvelous.